My remodelista friend Sarena says that shopping for stone and tile is like shopping for jewelry. It's one of the most tantalizing parts of building a house but the number of choices and range in prices can be dizzying. Indeed, we've spent the last month running up and down the Bay Area pricing out porcelain, debating man-made versus natural stone, ogling over $150 per square foot mosaics and wondering just how much to spend on dressing up our houses. The first time I remodeled my house in Mountain View I was working startup hours at LinkedIn and needed to get it all done in one weekend. With little time and even less money, I went to a run of the mill tile store in San Jose and ordered all my tile from them. I then went to a stone shop and picked a few granite slabs to slap onto my countertops and back splashes. The result was a functional albeit uninspiring master bath and matching kitchen that I quickly grew bored of. I'd like to say that I lost that lovin' feeling, but I never had it in the first place. While there's something to be said for no-frills utilitarianism, what makes a house feel like home is the personality and style that you infuse into it. This time around, I'm doing it right. I've spent the last month scouring the Bay Area for ideas and pricing out various high and low-end options. After much ado about mosaics, marble, and multi-million dollar homes, I've decided to take a scrappy chic approach. It's way too easy to go overboard on stone and tile. In my first week, I managed to fall in love with all the wrong materials. 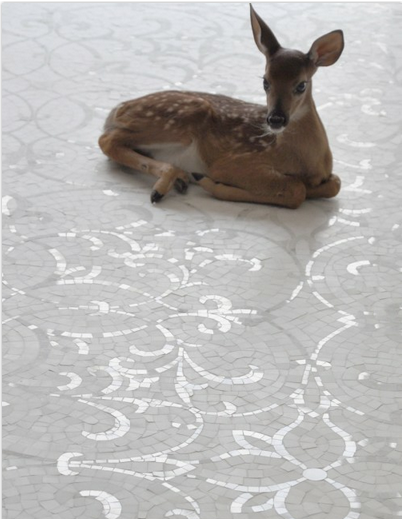 All I can say is the marketing person who photographed their snow white floor mosaic with Bambi is a G-E-N-I-U-S.
One of the easiest ways to keep costs down is to avoid expensive natural stone and opt for man made materials like porcelain and Caesarstone. In addition to saving money they require less maintenance, which is music to my ears. Our house's theme song is something lovely yet livable because while I love home design, I get less enthused about home maintenance. To me, pretty means never having to get down on your knees with a Q-tip and bleach to get Bambi's hoof prints out of the bathroom grout. Houzz.com: Oh Houzz, how I love thee. Houzz is hands down the best place to browse photos for a look you like. You can search by room (e.g. kitchen, mud room) or design dilemma (e.g. small bathroom, fireplaces) or by product and brands (e.g. glass tiles, Ann Sacks), etc. They also have a vast collection of articles and "ideabooks" that can be quite helpful when you want to learn more about options. 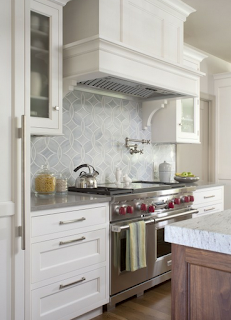 Check out these articles on countertops and guides to tile. Granite from a $15M mud room to my kitchen! Open Houses: This is another favorite way to get ideas. Every other week or so I get a call from Erika (our real estate agent extraordinaire) telling me to go see an open house. She knows I'm on the hunt for finishings, so she calls whenever she finds a house with great details. A few weeks ago she sent me to a gorgeously designed $15 million dollar house in Atherton where I fell in love with the Madre Perla granite in their mud room. The builder was nice enough to tell me where to buy it, so I ran out and bought a slab (at a pricey $41/sq ft) to put on our kitchen island as the room's pièce de résistance. I decided this was splurge-worthy because granite is the lowest maintenance of the natural stones and this one looks like marble! Tile Shop Designers: Many tile shops provide free design consultants who will help select materials and coordinate colors. This is a great way to get started and you're not obligated to buy anything. Some of my favorite looks have come from in-store designers. I've found that they help make me more adventurous while still feeling confident that a design will work. I recommend starting this process at a higher-end shop with experienced designers (Da Vinci Marble is my favorite place to go for this). Once you find a chic look you like, you can hunt around for substitute materials if you need to bring down the price. With a little bit of shopping around and creativity you can create a simple yet elegant look for less. Mixing in high-end accents with contemporary porcelain tiles can really make a room look stunning. Many of the multi-million dollar homes that I've seen in the Bay Area take this approach since developers want a house to look expensive without costing a fortune to build. 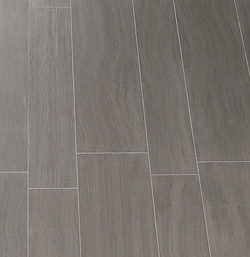 For our house, we're using large porcelain tiles (less grout!) and engineered stone countertops on the majority of our surfaces. We are then splurging on a few natural stone and glass accents like the Madre Perla island, a limestone kitchen backsplash, and trendy glass bathroom trim. I had to shop until I dropped to source all these items, so I thought it'd be nice to share my favorite finds with those of you who are still reading. Most of the shops I list range from medium to high-end in prices and quality. I've included two of my favorite "cheapy shops" that are especially great if you're on a tight budget or remodeling to sell. $$ TIP: Most stores give discounts of 10%-30% off retail prices to trade professionals (designers, architects, contractors, fabricators, etc). Our architect passes her discounts along to us, so we place our orders in her name to get the savings. Even if you're not working with a trade professional, ask for a discount since some sales people will still give you this "special pricing." Da Vinci Marble, San Carlos: Da Vinci is like Nordstrom's for natural stone and tile. High quality, classy selection, fair prices and unbeatable customer service. They have everything you need to create a high-end custom look and their designers will help you pull together ideas based on your budget. I first discovered Da Vinci after finding out that they were the source of the tile and granite in the $15M Atherton house. I assumed they would have Richey Rich pricing but was pleasantly surprised to find they offered the lowest quote on Madre Perla granite and the best looking slabs. Like all the shops on this list, I recommend you go on a weekday or schedule an appointment. I've worked with Kelly, Rose and Colleen and loved them all so I suspect you can't go wrong with any of their designers. Unfortunately when it comes to manufactured stone, they only carry Caesarstone. 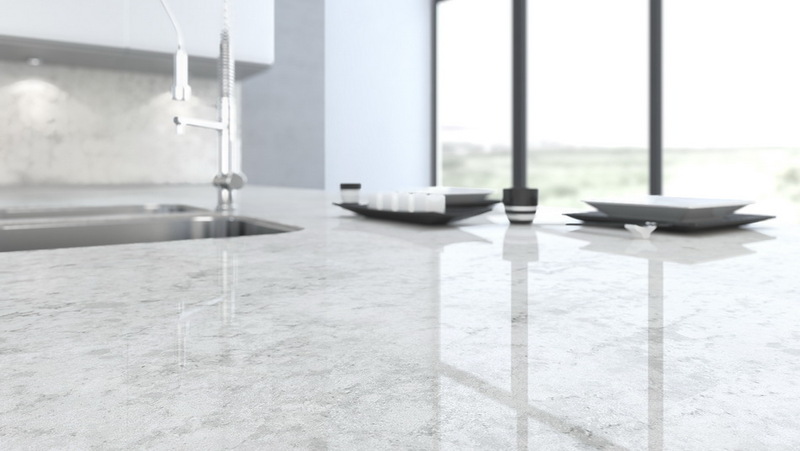 Caesarstone is like Kleenex, it's the most recognized brand when it comes to man-made stone, but there are plenty of other options so head to the next shop on the list if you want more color and design choices. The Counter Top Store, San Carlos: This is the Baskin Robbins of manufactured stone. Man-made stone is increasingly popular these days because it's virtually maintenance free. I was having trouble finding a color and look I liked so this shop was a welcome discovery. The Counter Top Store is the a great place to sample all the flavors out there and zero in on your favorite. They have almost every major brand and color including CaesarStone, SileStone, Cambria, Zodiaq, Corian and others. They keep free samples in stock so that you can take home colors you like. 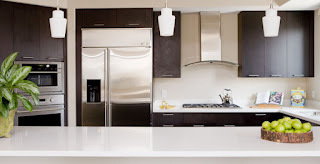 I eventually settled on cool frosty white Caesarstone for the kitchen counters called Blizzard. Yum. *TIP: Before purchasing stone or tile, always get a sample to take home and inspect under different lighting situations. Colors change depending on the amount of daylight and type of overhead lighting. Evaluate the stone and tiles with the other materials that will be around it (cabinets, paint colors, flooring, back splashes, etc). 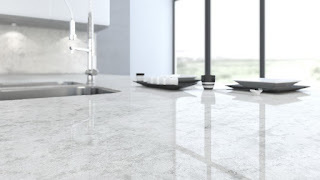 K Soul Eurostone: "Marble" without the maintenance! EuroStone.us, online: EuroStone makes my favorite man-made stone engineered to look like Carrara marble. Like a match made in heaven, it's aptly named K Soul. Not many places carry this brand so check their website. If you see something you like, your favorite stone shop or fabricator can order samples and slabs directly from them (or contact me and I can tell you some of the places that carry EuroStone). K Soul (~$27/ft for a slab before installation) is less expensive than real marble but pricier than Caesarstone. The allure of marble-y sink tops without the worry of sealing or staining them is irresistible to me so we're planning on putting this in our master bath. making an appearance in our house. not want a "darling" kitchen. in the lead to floor our master bath. Ann Sacks, San Francisco: I love this brand because of its fun, stylish products. I was initially lured into the shop after spotting a darling glass mosaic on Houzz. I obsessed over mosaics and whether to splurge on one. Sadly, they weren't met with the same enthusiasm from the male folk in my family and my top choices cost over $150/ft, so no mosaic for me! Fortunately, Ann Sacks also has trendy tile designed to mimic natural stone and they're very reasonably priced. will line the top of our master shower. Walker Zanger, San Francisco: Chic, chic, chic! Walking into Walker Zanger is like walking into a swanky art gallery. 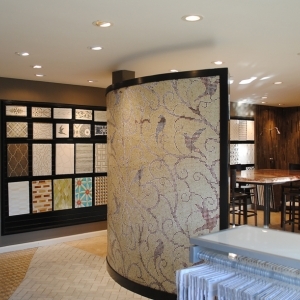 It's an upscale showroom located on the fourth floor of the SF Design Center. Everything looks beautiful but nothing has prices on it so it can be a bit intimidating. This is a great place to get beautiful accent pieces or go crazy if you're a honey badger with no budget. (Don't let me scare you away, they actually do have some really nice mid-range tiles). 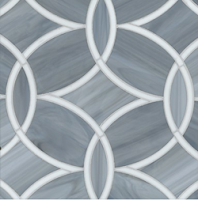 We're ordering their crisp white Roku glass tiles ($31/ft) and aluminum trim to add a wow factor to our master bathroom shower. Note: I've been warned to order more than you need (at least 10% extra) and 3 months in advance when working with Walker Zanger. Porcelanosa, San Francisco & San Jose: When I talk about a simple, elegant look for less, I mean use Porcelanosa. Don't get me wrong, it's more expensive than the average run of the mill tile, but if you want a high-end contemporary look without having to break the bank for natural stone, Porcelanosa is the way to go. One of my favorite Bay Area builders uses Porcelanosa in all of his houses. While many shops (including Da Vinci) carry Porcelanosa products it's worth visiting their showroom to see actual installations and get design ideas. They also have a semi-annual sale where everything is at least 30% off. To me this signals that you should be negotiating for a 30% discount whenever you place an order. 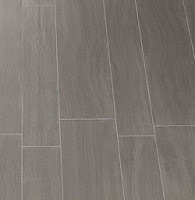 In fact, Da Vinci will give you 20-30% off Porcelanosa's retail price if you negotiate or get the contractor's discount. All Natural Stone, San Jose: Like Da Vinci, is another all-time favorite. All Natural Stone is a one-stop shop with a wide selection of tile brands and warehouse full of natural stone. Their designers are super friendly and helpful. My favorite part is that if you're interested in a slab, they'll chip off a sample for you to take home and consider. They also have a wide selection of man-made stone (but usually don't stock a sample for you to keep...go to the Counter Top Store for that). Their pricing is competitive, especially with the contractor's discount and they have options in every price range. Uni-Marble, San Jose: I had to look up the name of this shop because I've always just called it "the Chinese granite place." You'll know you're there when you see the Grand Opening Sale!! sign that has been up for years. This is the place to go if you want cheap tiles, marble, granite and stainless steel sinks. Where else can you get a 10 ft bullnosed slab of granite for $79? That's $79 for the whole thing, not per square foot! I wouldn't put it in a new home but it doesn't look half bad if you want to upgrade a tile countertop. (I put it in my Palo Alto condo before selling it.) This is one of the top shops our thrifty real estate agent uses when she needs to fix up a place before putting it on the market. Terico, San Jose: A veritable hole in the wall and another favorite shopping spot of our real estate agent. I became a believer when she helped me reface our Mountain View home's grungy brick fireplace with $3.70/ft stacked stone from Terico. 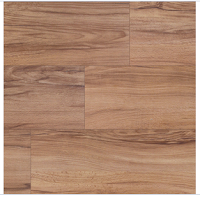 They also have an incredible line of tile that looks like wood and costs a mere $2 per square foot. I've seen developers use this tile in new multi-million dollar homes, it looks that good. This place looks like a shack but it's a remodeler's dream. Before and after shots of our fireplace. Refaced with Sahara Mint Ledger Stone from Terico: $3.70/ft. And there you have it, all my favorite stone and tile shops...for now. Believe it or not, I'm still shopping around. I'm sure there are many more great places, so please let me know if you have any favorite shops or products. Last week one of my dear readers told me that my blog convinced her that she and her husband could build a house. It made my day. Then they showed me a vinyl plank floor that they had installed themselves. 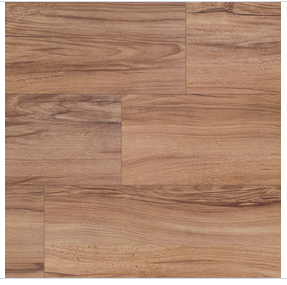 It was on sale for 88 cents ($.98 regular price) a square foot and looks just like wood! I was floored. (Pardon the pun). The lesson to me was: There are always clever scrappier ways to do things, so keep shopping and keep sharing.